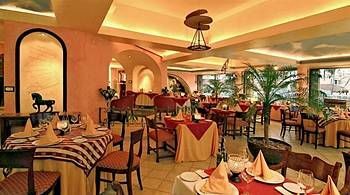 Embrace the vibrant culture of Mexico with a beachfront timeshare for sale at Cancun's Omni Cancun Hotel and Villas. This picturesque resort is located on the Caribbean Sea with white sand beaches, unparalleled views, and scenic, well-appointed resort grounds. Whether visiting Cancun for the first time or returning for another trip to paradise, you and your loved ones are sure to make fond memories that will last a lifetime at Omni Cancun Hotel and Villas. Omni Cancun Hotel and Villas is an all-inclusive resort, with meals, beverages, and entertainment included in the cost of the meal-plan package. With over a dozen restaurant and bars on-site, there is no shortage of options to tantalize your taste buds. 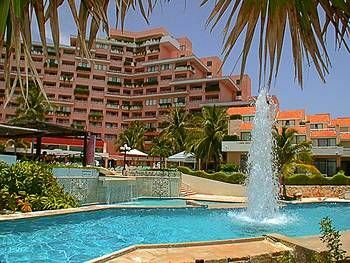 The resort is well-appointed with three pools with whirlpools and sun deck. Timeshare owners enjoy use of the private beach and access to rental equipment such as snorkel gear and kayaks, as well as the full-service spa and salon, tennis courts, and exclusive kids club. 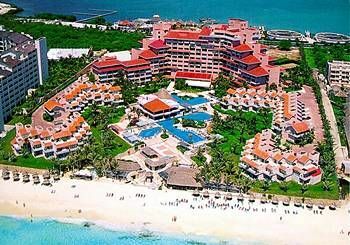 When buying a Cancun timeshare for sale, you gain access to the exotic culture of Mexico’s Riviera Maya region. Whether looking for adventure, relaxation, or education, you are sure to find an excursion that suits your temperament. Explore the spectacular ruins of Chichen Itza or Tulum, swim with tropical fish while snorkeling or scuba diving, and view exotic whales during a whale-watching cruise. 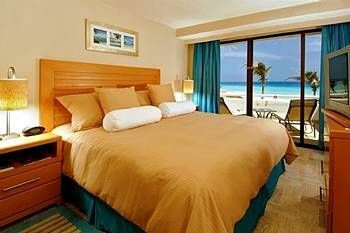 Omni Cancun Hotel and Villas is the ideal location for your timeshare resale purchase, with studio, one, and two-bedroom timeshares for sale. Each timeshare resale is appointed with flat screen satellite TVs, mini bar stocked daily, oversized soaking tub, and balcony or patio with scenic views. Villa upgrades are also available- perfect for larger parties. Contact Omni Cancun Hotel and Villas Specialist Today! Days: Saturday / Time: 3 P.M.
Omni offers great vacation package with optional all inclusive. The package we have is a Hotel room with balcony view of the main pool and ocean. Our favorite place to go is the large hot tub pool located on the beach with a swim up bar. Great place to meet other people. The main pool has trivia contests, volleyball and exercise classes. Plenty of lawn chairs to sun bathe. It is possible to use multiple weeks to upgrade from a studio to one two bedroom villas. The security is very good so there are no worries. They have a full service spa and exercise facilities.